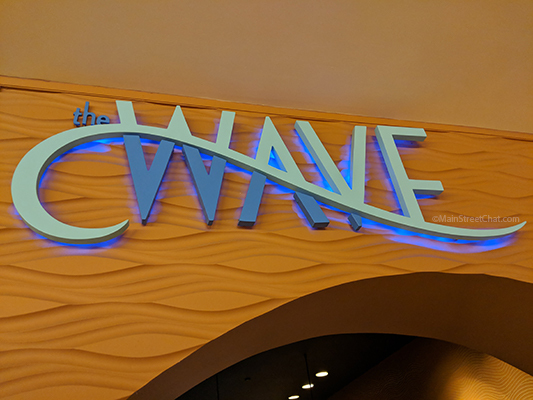 The Wave is an often overlooked restaurant at Disney’s Contemporary Resort. Located on the lower level it would be easy to walk by this restaurant without giving it a second glance. Do not do this! It’s tucked in a corner with nothing but it’s sign to signify that it is waiting with delicious options. 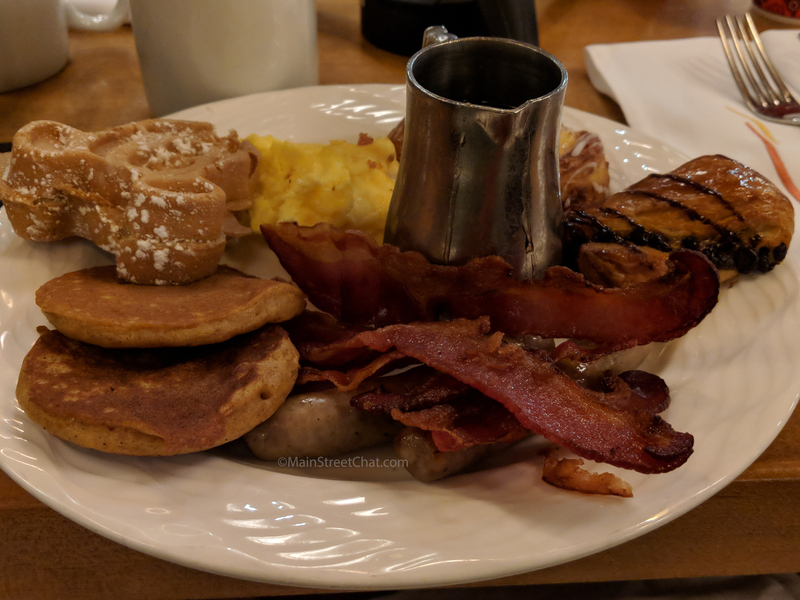 The Wave is a prime location to get an amazing breakfast before making your way over to the Magic Kingdom. There are two options for breakfast, a full breakfast menu, which can be viewed here, or a buffet. I’m going to be completely honest here… when you have a toddler things don’t always go as planned. Like, on occasion, they don’t want to let you dress them in the morning. Then you have to spend forever trying to convince them that you are going to go see Mickey Mouse after breakfast. We had an 8: 45 am reservation and we were late, very late, a full half hour late. I was positive that they were going to tell us to take a hike. Instead we were told we would have to wait a few minutes but they would squeeze us in. Thank you, nice cast member, who seemed only a little annoyed (justified annoyance in my opinion). Though a full breakfast menu is available we all opted to try the buffet. Give the menu a look before settling on the buffet, it looks like they had some really solid options. The glazed donut french toast sounds delicious! I cant say anything negative about our dining experience. It was very straight forward. Be seated, say you are going to do the buffet option, and then order your drinks. The server was pleasant and didn’t hover of us. He cleared any used plates quickly. They give you a full pot of coffee so you don’t have to wait for refills. 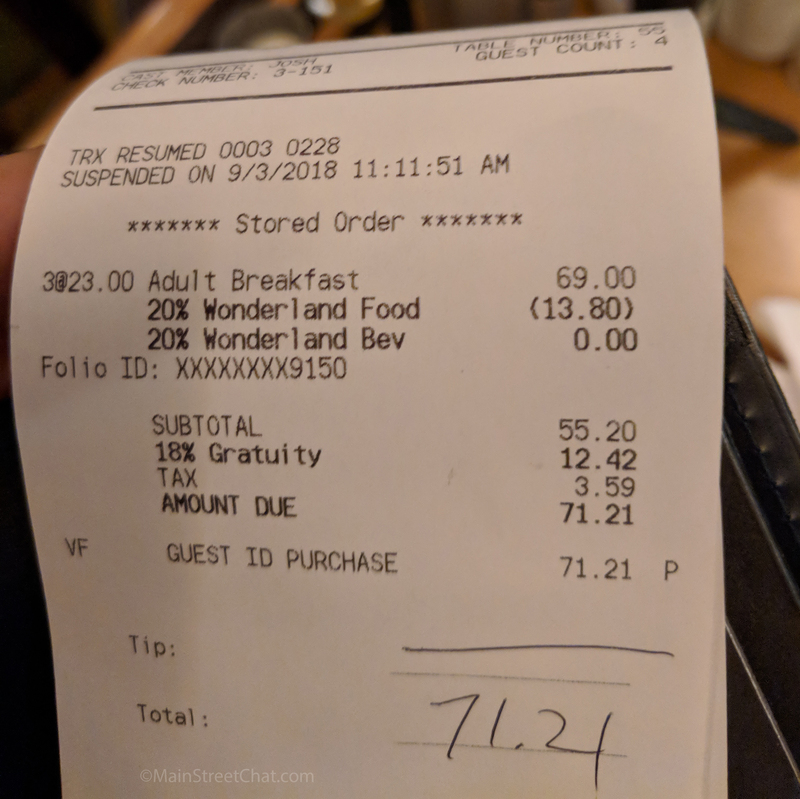 This is so appreciated in the morning and I wish all the restaurants on property would do this. The unique thing about the wave is that is a much smaller buffet than other options on Disney Property. This is not a draw back, we feel that it actually made quality control better and most of the food options were very good. A few of the items on the buffet do change out regularly. Typically they will have a specialty waffle or pancake that will change daily. We know for sure that it often switches between a sweet potato pancake and a red velvet waffle. We aren’t too sure what other specialty items are available but we will be going back in the future to find out. I can honestly say that we thought everything was delicious. My favorites were the cheese grits, the mickey mouse waffles, the pastries (all of them) and the Eggs Benedict. Adolfo didn’t have a favorite but everything was of such good quality that he wants to go back for breakfast. The cheese grits were probably the best grits I’ve ever had. They were super cheesy and had wood smoked bacon. They had a wonderfully smoked flavor that just really brought them up to the next level. We cannot recommend the grits highly enough. The pastries were delicious and had a lot of variety. There was an amazing coconut muffin (that Kaitlyn snatched off my plate and wouldn’t give back) , cream cheese danishes and chocolate twists. Honestly the worst thing that we can say about our meal was that the fresh fruit wasn’t ripe yet. Would we eat at The Wave again? Absolutely! 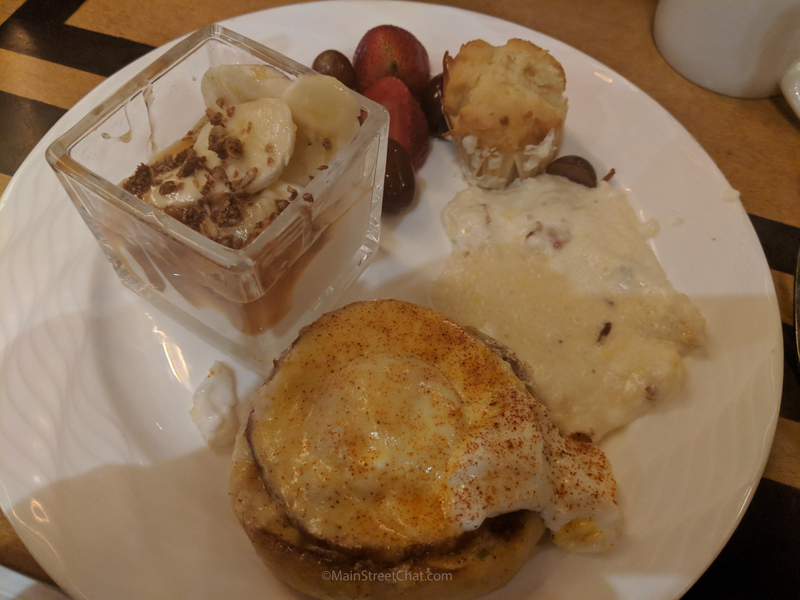 This is one of the cheaper buffets at Walt Disney World and the value for what you get is great in our honest opinion. We really feel this is a great place to start your day before heading over to the Magic Kingdom. We cannot wait to eat here again in the future.